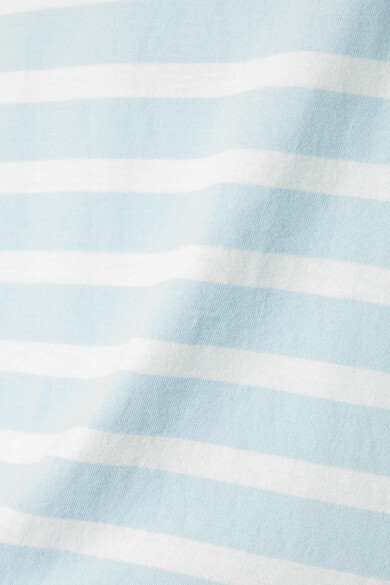 La Ligne, which translates to 'the line', is centered around the timeless appeal of stripes - the label even describes itself as "a wink at iconic French style." 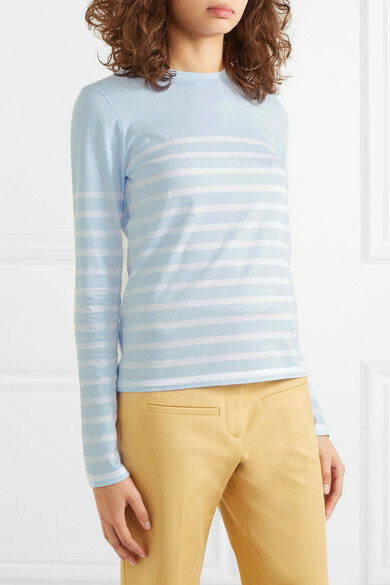 This top is made from soft cotton-jersey in light-blue and white shades. 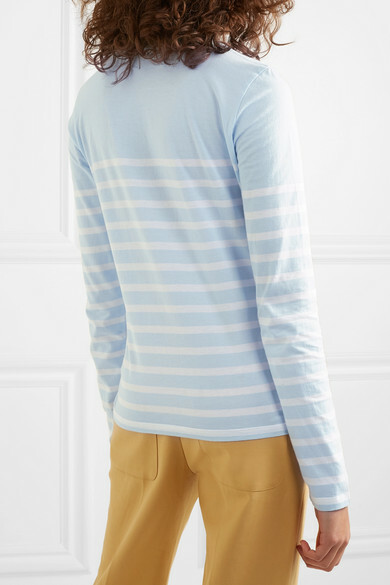 Tuck yours into denim or tailored pants alike. 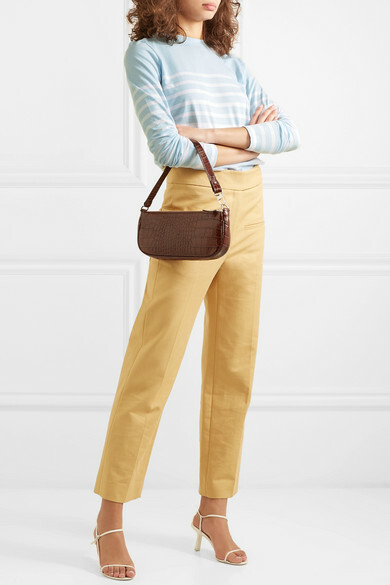 Shown here with: Khaite Pants, BY FAR Shoulder bag, The Row Sandals.